New year, new supper club. 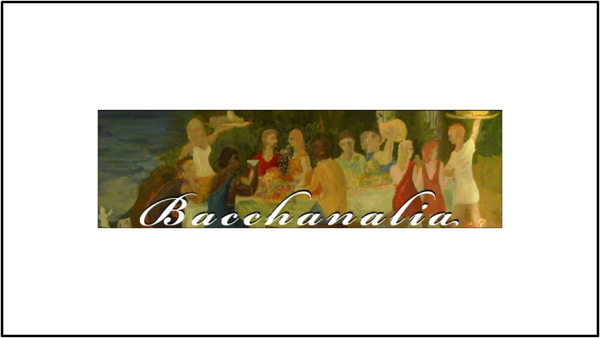 After an inaugural night back in December, the Clifton Village-based Bacchanalia Supper Club returns on January 27th and 28th with what looks to be a fantastic feast. Host Chris is aiming to run two large, themed feasts at the end of every month, alongside seasonal evenings in the middle of each month. The first event took place on December 10th, and you can see Sam’s review here. 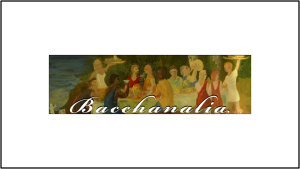 The event on Friday 27th and Saturday 28th December promises to be a fantastic occasion, with multiple dishes for each course put in the centre of the table to share between diners. Starters include smoked herring roe pate with whitecurrant jelly and melba toast, plus kale and wild garlic soup. The fish course of Cornish crab tartlets is joined by roast Cornish cod’s head (for those brave enough! ), and followed by mains of oxtail stew, jugged hare and a venison sirloin rack, among others. If you still have space after all that (! ), enjoy a selection of three desserts, followed by cheese, coffee and orange shortbread fingers. You can see the full menu here. Places are available for a suggested donation of £50 per person – for details of how to book, visit Chris’ website by clicking this link.